Itching to get out of the house on a well-deserved break? There’s no need to bust your hard-earned money for an expensive overseas vacation. Just step into one of these hotels in Singapore and experience the staycation of a lifetime! We’ve compiled a list of affordable hotels under $200 per night, just for you! If you’re looking for a room that brings you away from the hustle and bustle of city life, then you’ll definitely find one at Lloyd’s Inn! With simple, minimalistic designs, this hidden sanctuary in Orchard Road fully embraces the surrounding greenery with its relaxed white paint tones and minimalist interiors. The tranquil atmosphere that surrounds the hotel will chase all your troubles away for sure! If you’re willing to spend a little more, the Sky Room offers a great way to enjoy the night sky in the comfort of an outdoor bathtub! Don’t worry, you’ll be in absolute privacy, of course! 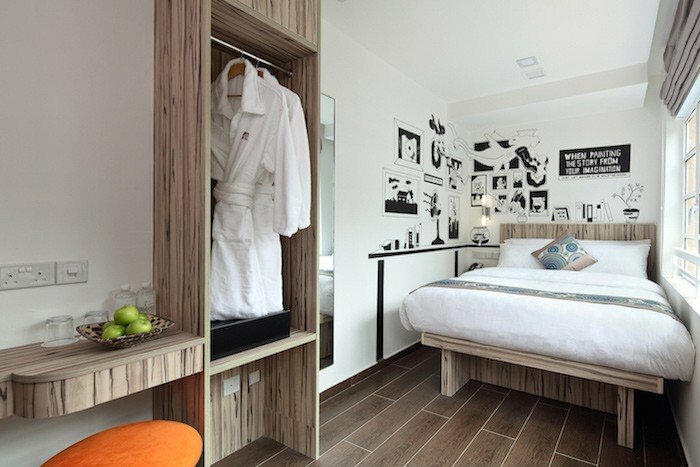 If there’s one thing this boutique hotel is big on, it’s their concepts and designs! BIG Hotel has specially-designed rooms tailored to different tastes, whether you’re an avid explorer looking for the bare essentials, or a romantic who wants to create an unforgettable staycation experience with his or her significant one. 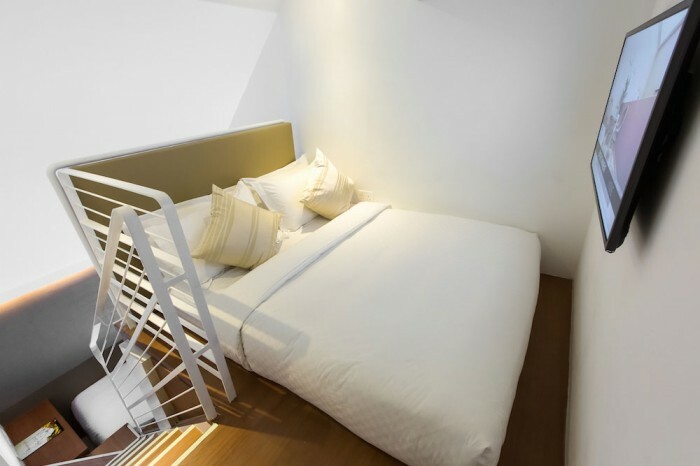 The hotel is strategically located near Bugis Street, perfect for those who are looking to set a staging ground for their adventures around the area! Price: from $140 onwards. Enjoy 10% discount when you book your room 7–14 days before your check-in date! Immersed in the rich culture of Arab Street, Hotel NuVe draws heavy inspiration from the heritage building it resides in. Featuring elegant rooms and sleek themed designs, both local and overseas guests will be drawn to its comfortability and affordability. Hotel NuVe guests would definitely enjoy a night out around Kampong Glam, which is right outside the hotel! Prepare to unleash the hipster in you as you go on a cafe-hopping spree to nearby great cafes such as Blue Jaz Cafe and CAD Cafe. Finish the day off with a delicious Middle Eastern dinner at Beirut Grill or at Zac’s. 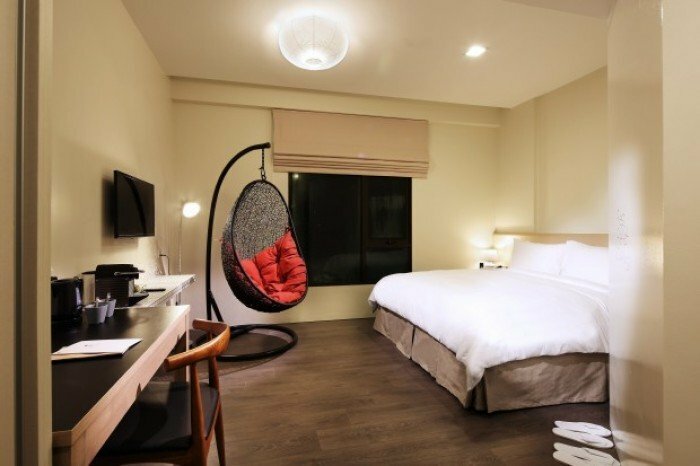 Residing in the heart of Little India, the Daulat Hotel offers a modern contemporary take in their furnishing. 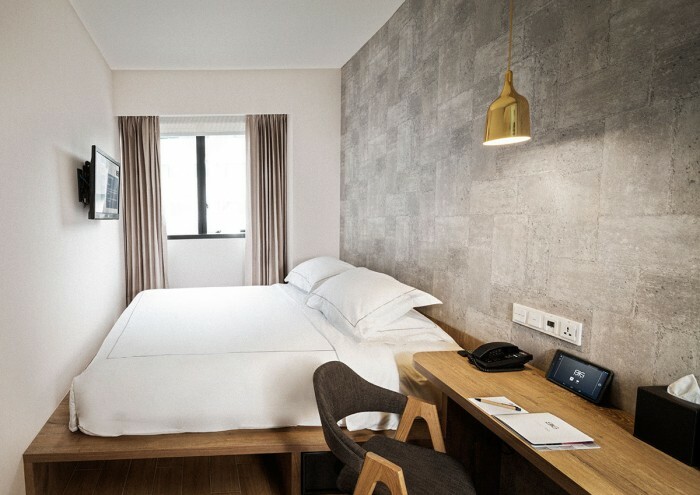 Don’t be too quick to judge the seemingly bland shophouse facade; once you step inside, you’ll be pleasantly surprised with the hotel’s vibrant colour scheme and stylish interior design! Rainfall showers, loft rooms and duplex suites will make guests wonder if they’ve stepped into another dimension. Fun fact, the word “Daulat” means “royalty” in Persian. The name is quite apt as this hotel goes out of its way to treat you like a king or queen! Price: from $180 onwards. Various early bird discounts are available for early bookers! 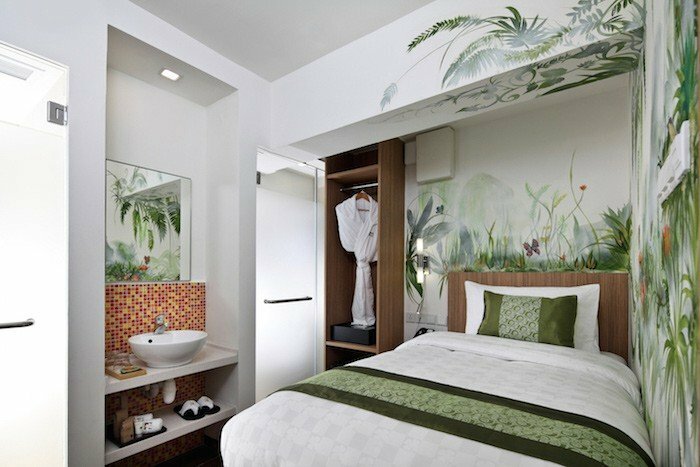 Hidden in the heart of Chinatown, Hotel Clover The Arts stands out from other boutique hotels with unique hand-painted murals in their rooms. Heavily inspired by urban street art, no room shares the similar artwork! Each room is cleverly designed to evoke certain feelings, so expect to see your Queen room painted with warm, royal colours, or comforting artwork in your cosy, single room. For those seeking the nightlife scene, it’s good to note that Hotel Clover The Arts is located five minutes away from the entertainment night spots of Boat Quay and Clarke Quay! Taking pride in their elegance, the Arton Boutique Hotel is a great option for those looking for a chic and classy accommodation in the heart of Lavender. Sleek, streamlined rooms are decked with conducive amenities and decorations, topped with an urban colour scheme of cool and modern tones. 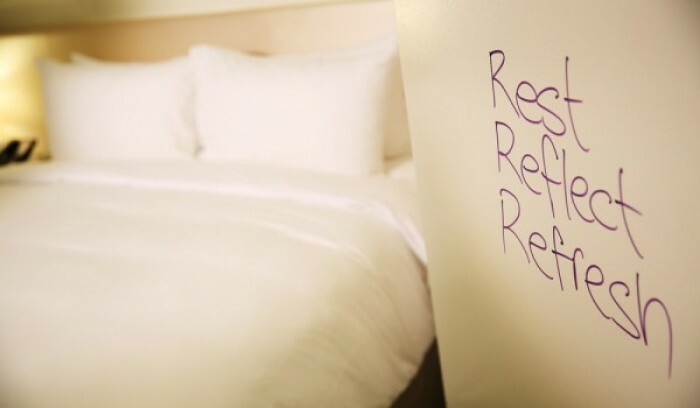 A variety of rooms is available to meet the needs of any type of guests. 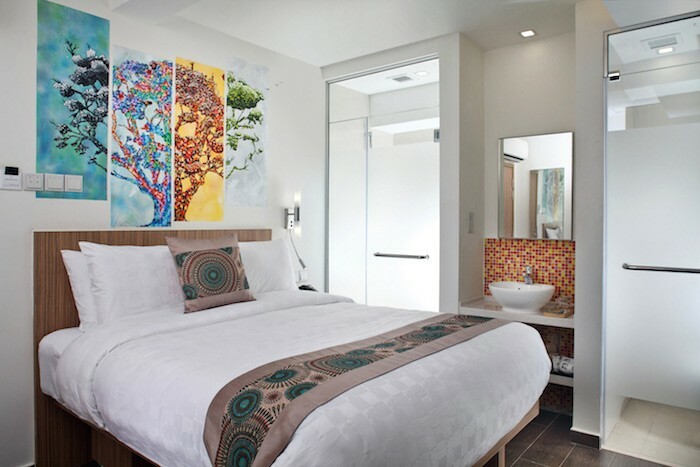 Family lofts are perfect for parents looking for some bonding time during their vacation, while the deluxe king rooms will suit individuals looking for some pampering! Prices: from $140 onwards. Get a whopping 38% discount if you book 7 days in advance! The Furama RiverFront Hotel specialises in catering to the needs of business travellers, by providing rooms that are fully equipped with the necessary modern amenities for a conducive stay. However, don’t be fooled as the hotel facilities serve just as well for a leisurely staycation! A swimming pool, gym and a bar will leave you wondering where to begin first. Guests can also treat themselves with either a visit to the Kintamani Indonesian Restaurant to sample their delightful Halal buffet, or sit down for some hearty international fare at The Square. If both options are still not appealing, board the hotel’s free shuttle buses to Orchard Road or Clarke Quay. There, you can pick your restaurant of choice, go shopping, party, or whatever you like to do when you’re in town! Prices: from $185 onwards. Get a base discount of 20% when you book 14 days in advance! 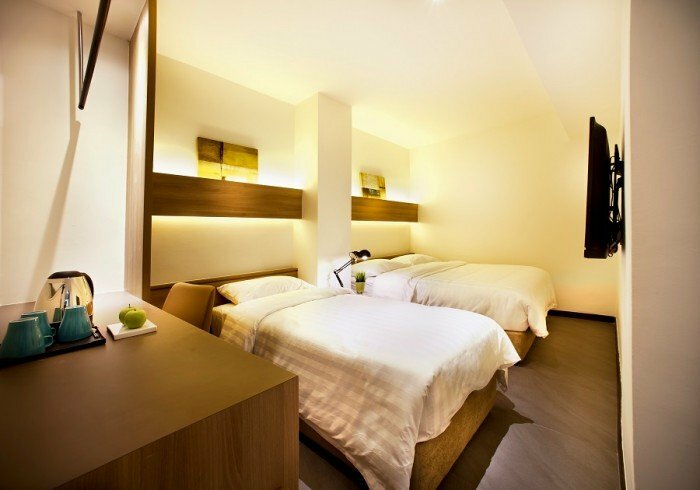 Located directly above Lavender MRT Station, this hotel is easily accessible by train for would-be guests. 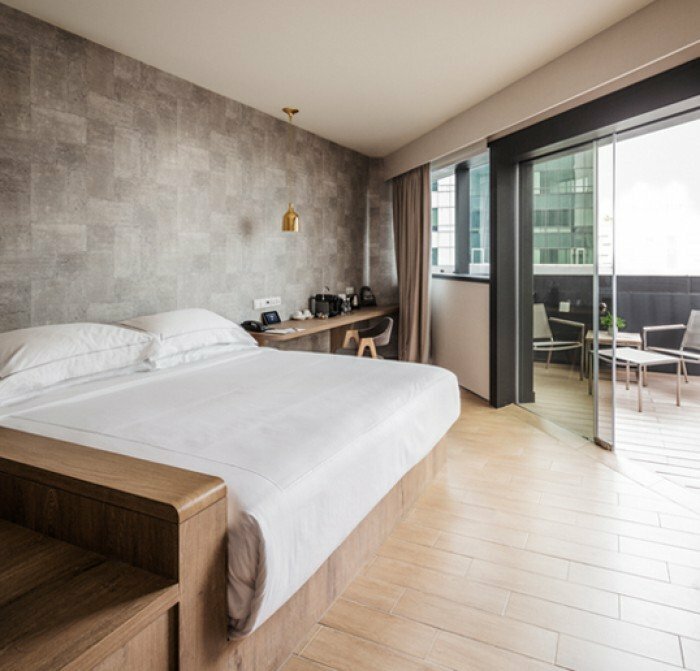 Not only that, V Hotel Lavender is also located near the city, which means you can go on a shopping spree in Orchard Road and retire to your room in less than 20 minutes! Here’s a useful tip: opt for a room with a city view so that you’ll be able to enjoy the city skyline at night! Named after the Chinese luxury good, the Porcelain Hotel draws heavy influence on its design from its namesake. The rooms are trendy and affluent, with a touch of modern orientalism in its decorations and furnishings. 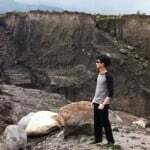 However, it's their value-for-money factor that has drawn plenty of guests over the years, especially those looking for cheap and comfortable accommodations. 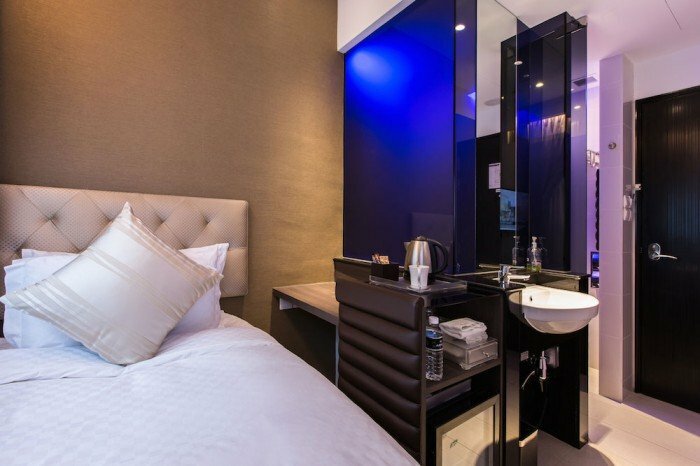 Porcelain Hotel is located in Chinatown, a stone’s throw away from Chinatown MRT station. Simply take a few steps outside and you’re already there. Prices: from $120 onwards. Get up to a 15% discount if you sign up for their loyalty club! Locked away in a restored and modernised heritage site, Changi Cove is a terrific place to spend a short retreat to nature. Featuring bean bag chairs, rattan furniture and hardwood floors, the simplistic approach to its interior design compliments the surrounding lush greenery outside. As an added bonus, you can even doodle to your heart’s content on their walls. Just make sure to use the provided markers and erase your creative expressions before checking out! Both Changi Village and Changi Boardwalk are only a short walk away from the hotel, so you won’t need to worry about running out of things to do! Has this list given you a good idea for the perfect, yet affordable, staycation? Be sure to book early, though, because these hotels are often featured on deals and offers. They’re prone to quickly selling out as the date approaches, so unless you’re happy with the idea of a home staycation (urgh), don’t hesitate on booking your rooms.